Oppo doesn't have a history in phones, but you'd never tell just by looking at the Find 5. 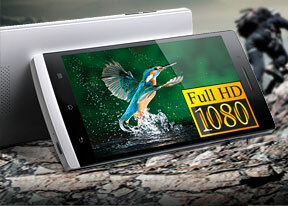 It's a beautiful device with killer specs and, better still, it's priced lower than the competition. We really liked the screen of the Find 5 - the phone carries the 5-incher well and the 1080p resolution (plus things like great viewing angles and that coveted laminated look) make for an amazing picture. However, we worry about the screen glass (it doesn't seem particularly tough) and the dead pixel is another issue. Also, the jump from 300+ ppi to 400+ ppi pixel density isn't as spectacular as the first "Retina" displays were, but that's a problem shared by all 5" 1080p flagships. Anyway, beyond that the Oppo Find 5 seems to get most things right - the Snapdragon S4 Pro chipset offers plenty of processing power (enough to handle the resolution), the 13MP camera is good if not great (plus movie HDR is a very rare feature), there's good battery backup (2,500mAh), NFC, Dolby Mobile and a recent enough version of Android. But it gets things wrong too - the Android skin won't be to everyone's liking, there's no LTE, the battery, big as it is, is not removable and there's no way to expand the external storage. This is pushing you towards the $70 more expensive 32GB version if you want to store movies, games and a decent audio collection (and you will want that with a gorgeous screen like that). Still, the Oppo Find 5 will retail for $500 (16GB) / $570 (32GB), which is less than many 16GB smartphones go for. Not that there are many - the HTC DROID DNA is $600 (without a Verizon contract), but the international version, the Butterfly is hard to find and costs even more. The battery is smaller (by a good 500 mAh), the camera is "just" 8MP and there's only a 16GB version (though the Butterfly does have a microSD card slot). Both versions have LTE, however. 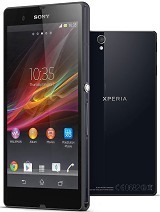 Then there is Sony's flagship - the Xperia Z / ZL. The two differ more than the DROID DNA / Butterfly. Both have 13MP cameras, LTE, expandable storage and 2,330mAh batteries. But the Xperia Z is thin and waterproof, while the Xperia ZL is thicker but with a smaller footprint. But they're not cheap - and most countries won't get a choice between the two. At 720p resolution, 4.7-4.8 inch screens aren't that far behind in image sharpness (blame your flesh and blood eyes for not having enough resolution) and they're not much smaller either. 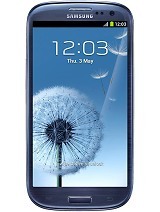 This means you can look at the Google Nexus 4 (if you can get it from the Play Store), the HTC One X+ and the Samsung Galax S III. 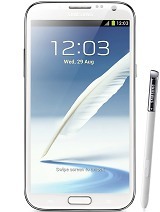 And if it's a big screen you want, there's always the Galaxy Note II, but its screen's pixel density doesn't even come close to that of the Oppo Find 5. It seems inevitable that sooner or later we'll all be buying a phone from a previously little known company from China - be it ZTE, Huawei or Oppo. They're getting just too good and come at very competitive price points. The Oppo Find 5 is a great place to start - it has everything you can expect to get in a flagship Android phone. Flaws included, but generously outweighed by good stuff.